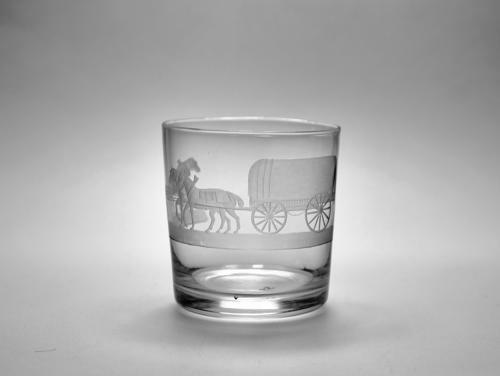 Small straight sided tumbler engraved with team of four hourse pulling a covered wagon. English C1820. Condition: Very good with no chips, cracks or restoration..